Jim Callaghan is a lawyer with over 20 years of experience, most of it in the transport sector, primarily with airlines. After working as a lawyer specializing in competition law for Linklaters in Brussels, Jim went on to become General Counsel for Ryanair for 9 years, and then Etihad Airways for 7 years. 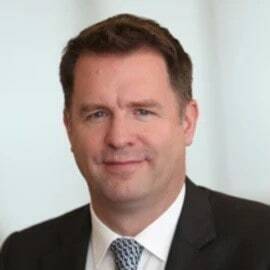 He spent a brief period in ground transport as General Counsel for Uber for the EMEA region, before getting sense and returning to the aviation industry where he co-founded a consulting company, Croon Callaghan Aviation Consulting LLP. Croon Callaghan is a partnership of two ex-airline General Counsels specializing in fit-for-purpose solutions for airlines to complex legal and regulatory issues.